In this wrenching, mesmerizing coming-of-age novel that Kirkus Reviews calls “lyrical, suspenseful, and haunting,” Friday discovers what makes a family—and how to define home. Friday Brown has never had a home. She and her mother live on the road, always on the move, running away from the past instead of putting down roots. 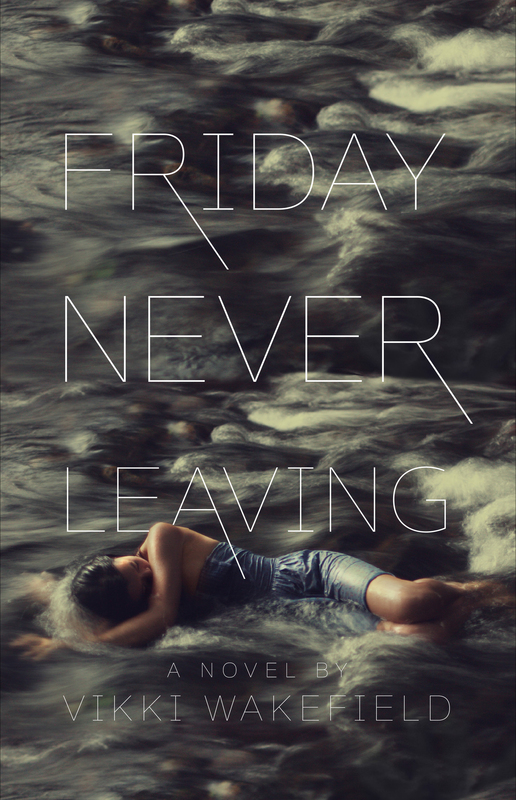 Even when her mom dies, the only thing Friday knows how to do is keep moving. Her journey takes her to an abandoned house where a bunch of street kids are squatting, and an intimidating girl named Arden holds court. Friday gets initiated into the group, but her relationship with Arden is precarious, and it puts Friday—and anyone who befriends her—at risk. With the threat of a dangerous confrontation growing, Friday has to decide between returning to her isolated, transient life, or trying to help the people she’s come to care about—if she can make it out alive. *"Australian author Wakefield spins a tense, multilayered tale about loyalty, memory and survival... Imagery—a dust-filled ghost town, harrowing dreams of drowning—is vivid and evocative, and Friday’s changing sense of herself and her relationship to her mother’s legacy give the story another layer of depth....Lyrical, suspenseful and haunting." "The themes and subject matter may be dark…but this is far from being a novel without hope." "Full of elegiac beauty and intelligent insights…this is a stunning contribution to young-adult fiction." "Wakefield’s characters are one of the strengths of this young adult novel. They are diverse, compelling, multi-dimensional, loveable, despicable….believable." "Deeply satisfying and surprisingly upbeat." "This is a pull-no-punches story about learning the truth and growing up, full of the preciousness of friendship and love." "Mesmerizing, embroidered with terrifying webs of intrigue and haunted by ghosts." "Friday Brown may have left many places throughout her lifetime, but Wakefield's fantastic story is never leaving me. This book is for fans of Libba Bray and Martine Leavitt." "Friday's battle with grief and inheritance is tense and evocative from first page to last." *"In her American debut novel, Australian Wakefield reveals herself to be a master of madness and suspense, rivaling such authors as Adele Griffin and Neal Shusterman....Wakefield’s writing is gorgeous. She renders the Australian setting, from the slanted platforms at the train station to the red dust of the outback, with visceral detail, and her characters are disturbing, yet sketched with deep compassion for their lonely, wounded hearts." "Lyrical prose traces her [Friday's] path from lonesome grief to empowering connectedness, and it’s clear that coming to terms with the story of her past will ultimately free her to write the story of her future."